Scotland is known for its breath-taking scenery; from the vast tranquil lochs to the iconic rural glens there are few places in the world which can rival the views that Scotland has to offer. The only way to make these views more spectacular? Well witnessing them from the driving seat of some of the world’s most extravagant supercars has got to be the closest you will get. From Lamborghinis and Ferraris to Aston Martins and Bentleys you give us your preference and we will give you the keys. If you have a need for speed or just crave the feeling of style and luxury; then we will ensure to add an extra to your tour that is sure to get your adrenaline flowing. Some supercars also have the option to be taken to the track, so you can witness the full power held beneath the hood. Get a lesson from an expert racing driver before getting behind the wheel yourself and set the lowest time you possibly can. If you have a larger group then you may prefer to race against the remainder of your party for bragging rights for the rest of your tour. Scotland is not known for having the world’s finest weather however when we do receive fairer weather it is all the more meaningful. This being said, there is nothing that would enhance the feeling more than lowering the top on your Audi R8 Spyder or Aston Martin Virage while cruising through the wild woodlands alongside Loch Lomond as the sun reflects from its mirror like surface. 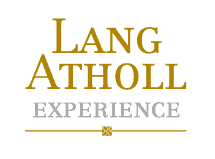 Lang Atholl endeavour to source and locate any supercar which meets your preference. If you have a specific car which you have always dreamed of driving, then why not do it through some of the most spectacular backdrops you could dream of.